According to National Geographic, more than half the air pollution in the United States is caused by mobile devices, primarily by automobiles. These greenhouse gases that vehicles emit, such as carbon dioxide, are wreaking havoc on the ozone layer as well as polluting the soil and surface water in many cases. Bottom line— while cars are an everyday necessity and convenience, they’re not doing the environment any favors. That’s part of the reason why the federal government is offering tax incentives to those who purchase hybrid or electric vehicles, as well as challenging automakers to develop vehicles by 2025 that are able to achieve 55 mpg on the highway. It’s a bold goal but, as you can see from how much cars are responsible for pollution, it’s a necessary one that’s becoming more important. U.S. News listed the 2011 Toyota Prius as one of the best used cars that you can purchase for under $20,000. It achieves 51 mpg in the city and 48 mpg highway. The Prius model is perhaps the most popular hybrid vehicle to date with its distinguished look and affordable sticker price. It also scores very well in terms of safety and reliability, two factors which have helped its brand soar to top heights. 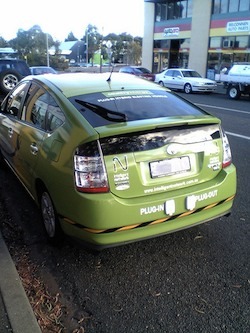 When you think “hybrid,” Prius certainly comes immediately to mind. The Chevy Volt is a hybrid electric vehicle, meaning that it has the capability to run on both an electric battery and a conventional gas-powered engine, and transfer between the two power sources seamlessly. Between the electric battery and gas engine, it can achieve up to 95 mpg city and 93 mpg highway and offers a range of about 300 miles. The one con to the Volt is its near $40,000 sticker price. However, that comes with a $7,500 tax credit. It’s still a lot to swallow for a mid-size sedan, but a used Volt can help offset some of that sticker price. The 2012 Lexus CT 200h is said to be the most fuel-efficient model in its vehicle class. In fact, the car gets a combined 42 mpg (city and highway) and it starts at just under $30,000. While the price, fuel economy and roominess of the vehicle are all attractive options, one big downside to the car is its acceleration. But let’s face it, if you’re looking to buy a hybrid or electric vehicle, you’re probably not concerned about the 0 to 60 mph time as much as you are about saving money at the pump and helping reduce the harmful emissions in the environment. VW’s flagship Jetta vehicle is now available in a hybrid model version. It features a combined fuel economy of 45 mpg and also offers drivers to cruise up to 45 mph for over a mile in an electric eco mode that the vehicle is also equipped with. The Jetta is designed to compete with Honda and Toyota hybrid models and comes with a starting base price of $26,000.